AD WATERS introduces OLI, one of the largest manufacturers of toilet carriers and flush plates. OLI is the only carrier on the market to include a flush plate in the box, ready to be installed. UPC certified and backed with a solid 10-year warranty, reliability has been the pillar of their reputation over the years. 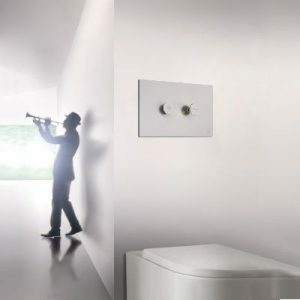 features unique piston-like push buttons which draws its inspiration from a real trumpet, a design masterpiece. The I-PLATE was also the 2018 winner at the ICFF Show in NYC for Best in Bath Category, awarded by the International Furnishings and Design Association. 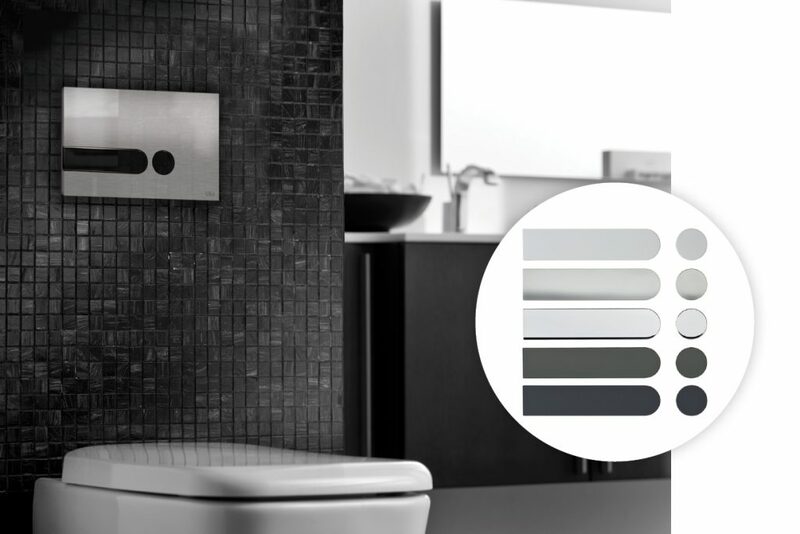 This flush plate allows you to personalize the push buttons in one easy click, giving you the possibility to mix and match a variety of color to suit your mood. Their 900 000 sq-ft state-of-the art facility in Portugal runs 24/7 to ensure a weekly production of close to 45 000 flushing cisterns and 64 000 mechanisms. 23 years ago, OLI innovated by mass producing the dual-flush system, which today is part of most cisterns worldwide. OLI’s commitment continues to place innovation at the service of water preservation with their latest technology: the AZOR Silent. This ecological and silent inlet valve (NF class 1) is equipped with a revolutionary delayed refill system which starts filling the cistern only when the flush valve is closed – allowing additional water savings per flush.